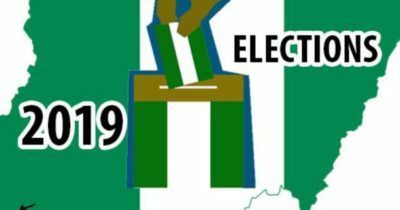 On the list of the commissioners are an Associate Professor of Economics, Olalekan Dauda Yinusa; a Doctor of Law, Ajibola Basiru and a former Senator, Mudasiru Hussain. The Governor announced that he as well as his deputy, Iyaafin Grace Titi Laoye-Tomori, was dropping their portfolios in Works and Infrastructure and Education respectively for new entrants into the cabinet to allow for more effective policy co-ordinations and supervisions. The Governor at the ceremony at the parking lot of Bola Ige House in Osogbo‎ stated that the inauguration was long overdue, but for dire constraint of funds. 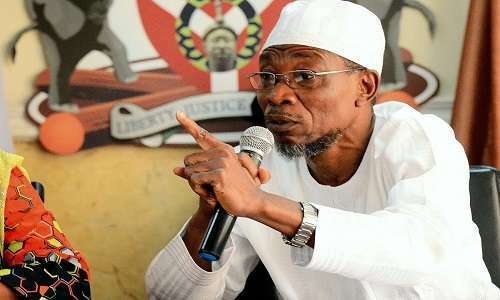 Aregbesola stressed that Osun was not insulated from the financial challenges that the country had during the Peoples Democratic Party-led administration in Nigeria. He held that Osun was receiving negative monthly allocations from the Federation Account during the period, saying ‎what hit Nigeria during this period was the equivalent of economic natural disaster and Osun was not alone. According to him, “I congratulate all the appointees for being considered worthy of service to the government and people of our dear state and for scaling the hurdle of screening. “Many of you served in the first term; the rest are fresh hands. Of course, this is long overdue. It should have come up immediately after my inauguration on November 27, 2014. As you all know, we were hamstrung by dire constraint – principally financial. “Our second term coincided with the onset of a national economic disaster. The first on account of a purported daily theft of 650,000 barrels of crude oil under the watch of the immediate past PDP national government. This is curious and improbable. “We must note that 650,000 barrels of crude oil is the equivalent of 65 super tankers each laden with over 300,000 metric tons of crude oil. By the way, a super tanker is about 450 metres long, the equivalent of four and a half football fields. “Indeed, 27 states and the Federal Government were unable to pay salaries of workers. It might interest us to know that the government of Goodluck Jonathan‎, according to his Finance Minister, Dr. Ngozi Okonjo-Iweala, had to borrow N476 billion from commercial banks to be able to pay salaries in the last four months of his administration,” Aregbesola told the gathering. The Governor further stated that his government has responsibilities to three broad categories, the most important of which is the commitment to the generality of the people of the state whose mandate he swore an oath to exercise faithfully. 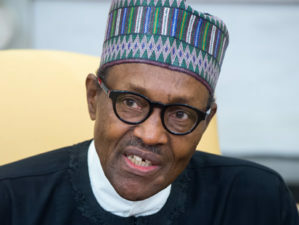 He also added that state workers whom his administration has a contractual obligation to pay at the end of every month, and the political class who made it possible to campaign, contest and win elections will be carried along in his administration. ‎He said, “What we have done during the special time occasioned by the emergency period we faced was to play a delicate balancing act between the three categories.Painfully, we came to an understanding with the workers on a realistic schedule of payment. “We also continued with our programmes and critical social intervention albeit on a reduced scale. Lastly, we have good understanding from the political class on the need for them to make sacrifice as we defer appointments and cabinet formation. “Our traducers, rather than reasonably comprehend the situation went to town to harp on the non-composition of cabinet but in the process expose their own ignorance. She borrowed to “pay salaries”, which is not, I agree, the way forward for any nation; but then again, considering the plight of workers at the time, would you have had her look the other way? I mean, borrowing at that point, was pragmatic. The borrowing would be for the good of the workers, right? Me thinks the continuous mention of a past Finance Minister with an intention to tarnish, is only an indication that the present one, ‘the APC one’, has not done much, and probably does not have a good idea of what to do. Otherwise, the name Ngozi Okonjo Iweala would not be coming up at every turn. Adaolisa you are right. I will say again, consult her if need be, or let her be. Indeed, 27 states and the Federal Government were unable to pay salaries of workers. It might interest us to know that the government of Goodluck Jonathan?, according to his Finance Minister, Dr. Ngozi Okonjo-Iweala, had to borrow N476 billion from commercial banks to be able to pay salaries in the last four months of his administration, Aregbesola told the gathering.